In the early 1950’s, automotive companies started realizing the benefits of sheet metal hydroforming. Previously using expensive punch and die sets for their stamping needs, these companies were able to create the same deep draw designs and save a considerable amount of money due to less demanding tooling needed for the hydroform process. 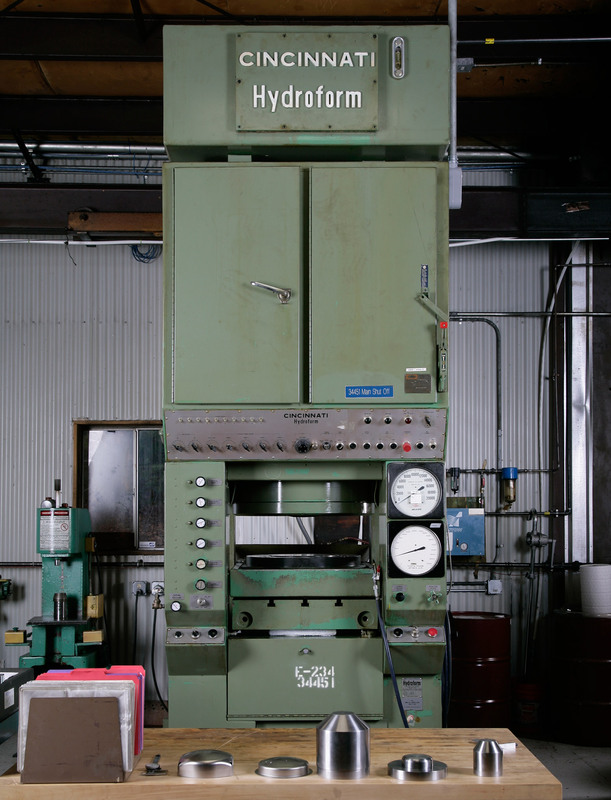 Eventually, hydroforming found its way into the aerospace and defense industries as companies utilized this niche process to create formed parts that were once fabricated or spun. MuShield, an industry leader in metal spinning of magnetic shields and other piece parts, recognized the benefits of hydroforming from a cost and magnetic shielding standpoint and brought a 12″ Cincinnati Hydroform press onto the manufacturing floor in 2010. Since then, MuShield has been hydroforming magnetic shields and other enclosures made from various sheet metal alloys that were once spun or fabricated. The result is a faster and repeatable process and far more consistent parts from run to run (+/- .002″ or better tolerance on all features of hydroformed parts), which means overall satisfaction from our customers as the per piece part price goes down and quality goes up. Contact us today to discuss hydroforming and if it’s a good fit for your next project info@mushield.com.